It’s the time of the season again where many Chinese soak in the festive mood of savouring traditional baked and delicate snowskin mooncakes that would make them go over the moon. 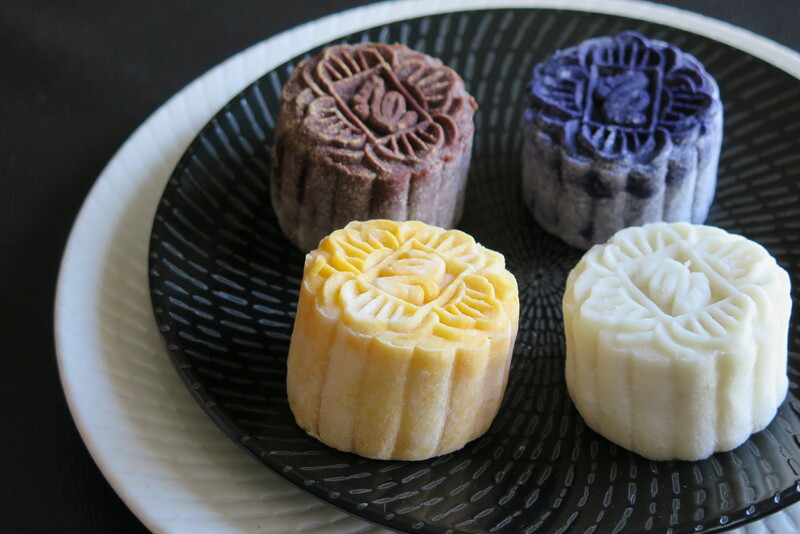 This Mid-Autumn Festival, I have come up with a mini guide to discover some of the best variations of mooncakes in Singapore. One of Singapore’s most-loved artisan dessert cafe Bakerzin is setting the trend for its largest collection this year, featuring NINE different ranges from traditional baked mooncakes and snow skin to the newly introduced Momoyama mooncakes. With the widest selection of mooncakes available, adults and children of all ages will definitely be able to find something that they like. Discounts: 10% for early bird till 31 August 2015, 15% for HSBC and OCBC Card Member. Available till 27 September 2015. Order online here or visit Bakerzin outlets island-wide. You can never go wrong with the delectable durian offerings at the Grande Dame. 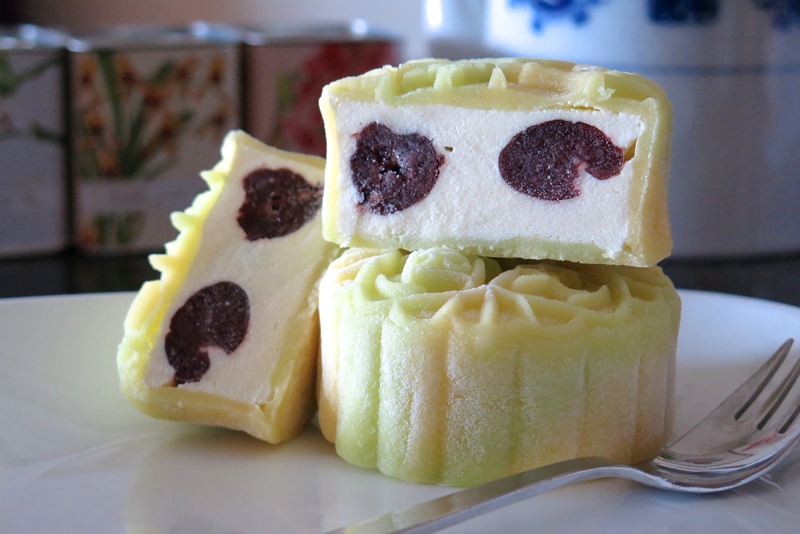 Making a comeback this Mid-Autumn Festival is the popular Black Thorn Durian Snow Skin Mooncake, and introducing a pair of new Tropical Royals traditional baked mooncakes – showcasing white lotus seed paste with pure D24 durian pulp, while the other with tasty Jackfruit bits. A brand new snowskin mooncake creation features a sweet and refreshing flavours from the lemongrass infusion in the pineapple puree and macerated dark cherry. More details about Goodwood Park Hotel Mid-Autumn Collection here. 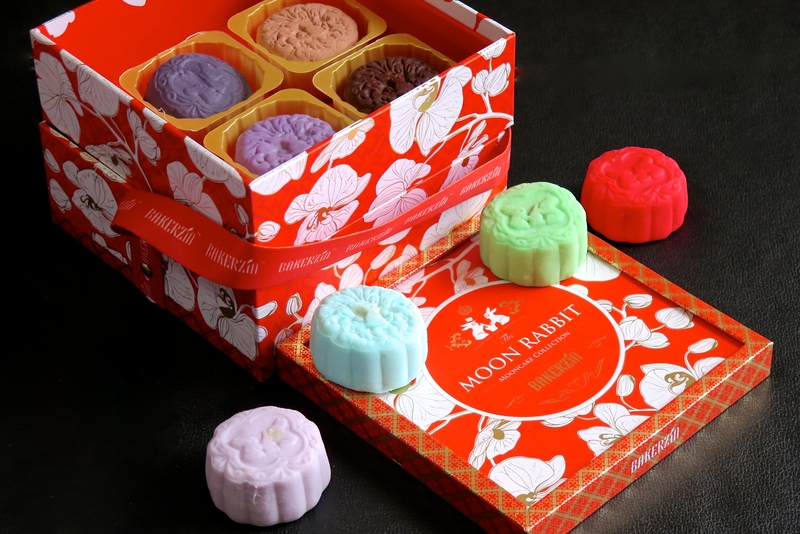 Discounts: 15% for Citibank, DBS/POSB, UOB Credit & Debit Card Members, 10% for limited edition mooncakes. Available till 27 September 2015. Click here to view the hotel brochure. Order online here or contact +65 6730 1867. Alternatively, email your order form to festive@goodwoodparkhotel.com. A beloved Teochew delicacy for the season of harmony. This year, Thye Moh Chan has unveiled a rare treat for its loyal customers. 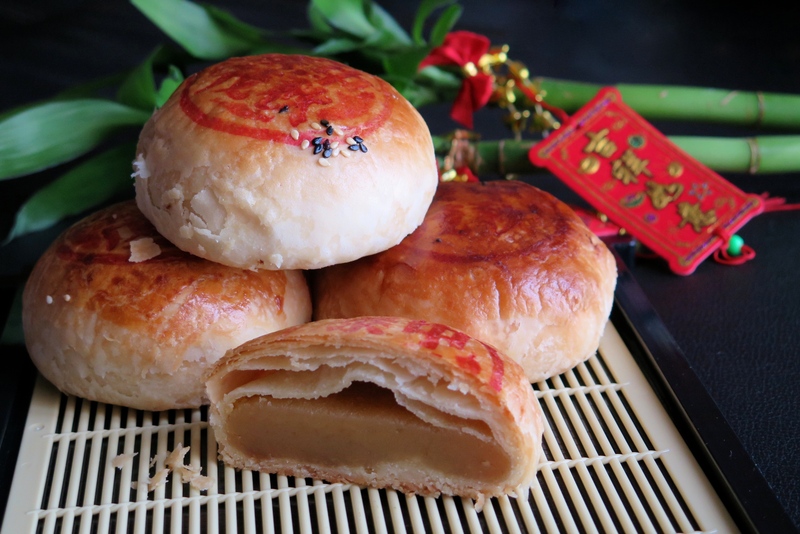 Featuring the traditional goodness of the flaky Teochew pastry, filled with premium Mao Shan Wang durian-infused bean paste. Quantities are limited, a box of 4 is $38.80 and can only be purchased at Thye Moh Chan outlets. 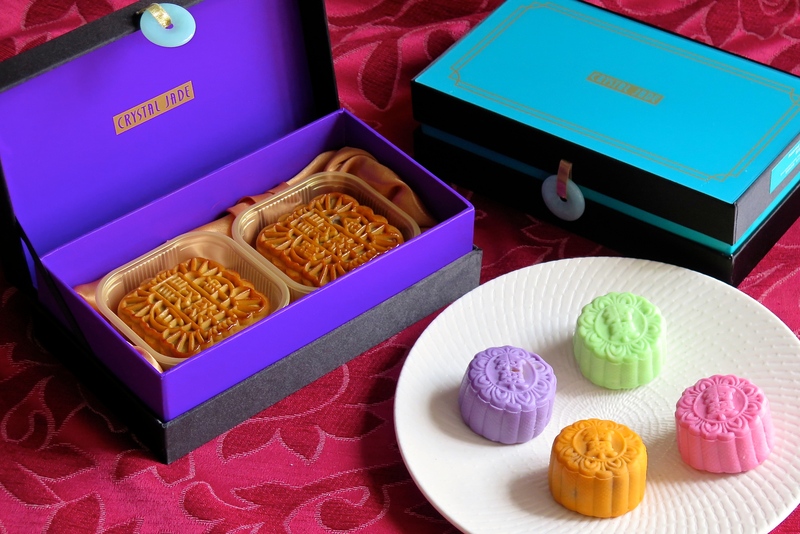 Popular artisanal mooncakes also include the Sweet or Salty Tau Sar, Yuan Yang and Teochew Double Delight, as well as traditional Teochew Mooncake. Discounts: 20% for OCBC Card Members with minimum purchase of two boxes. Available till 27 September 2015 in Thye Moh Chan outlets at Chinatown and Paragon. Peony Jade introduces its Four New Heavenly Kings, Five New Fruity Flavours and returns with its Award-Winning Timeless Classics this Mid-Autumn Festival. Making its majestic debut this year is the limited edition PREMIUM POSH Mao Shan Wang Durian Mooncake in Organic Pandan Snow Skin. Also not to be missed is the the flaky Teochew masterpieces of Yam (Orh-Ni) Mooncakes which received much praises from its loyal following. Discounts: 20% for Standard Chartered Credit & Debit Card Members, 10% for Ex- Crown Prince Flaky Teochew Orh-Ni Mooncakes. Available till 27 September 2015. Order online here or contact +65 6659 4159. Alternatively visit Peony Jade restaurants and onsite mooncakes sale location. Crystal Jade Culinary Concepts has unveiled a dazzling line-up of traditional baked, inventive snow skin and exquisite Moët & Chandon champagne mooncake flavours. Indulge in a palette of flavours with the Assorted mini snow skin selection such as the rich Salted caramel, Citrusy Yuzu with lemon, Strawberry with cranberry and Sea salt with dark chocolate. For champagne lovers, the Moët & Chandon Impérial and Rosé Impérial Champagne mooncakes takes center stage in this year’s collection at Crystal Jade. Four of each handcrafted gem is packaged with a bottle 375 ml Moét Impérial Brut for $128. Discounts: 25% for (Online Purchase 1st Aug till 13th Sept 2015), 15% for (Online Purchase 14th Sept till 27th Sept 2015), 20% for (Outlet Purchase 1st Aug till 13th Sept 2015), 10% for (Online Purchase 14th Sept till 27th Sept 2015) – exclusively for DBS/POSB Card Members. Order online here or visit participating Crystal Jade outlets. Available till 27 September 2015. Click here to view the festive brochure.